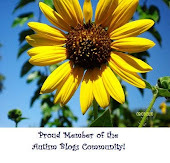 My son was in elementary school when I became a reader and follower of Karen’s blog. 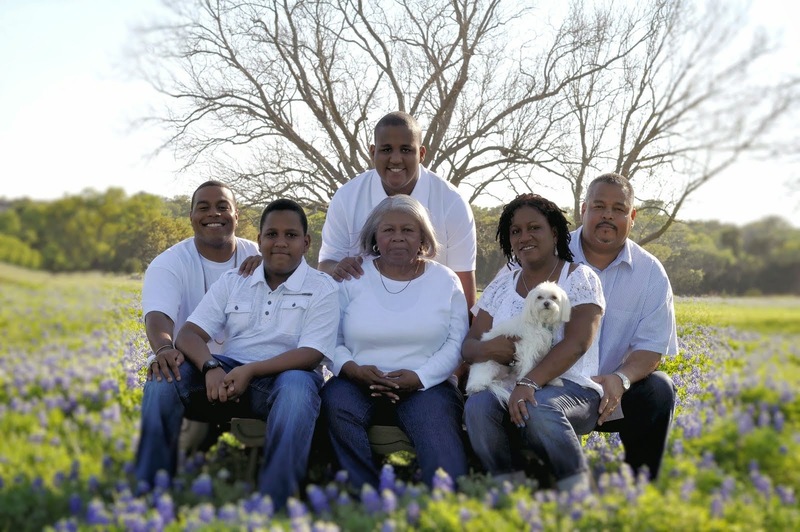 When our regional community was rocked 2 months ago by the drowning of a 14-year-old with Autism Spectrum Disorder after he eloped from his city school, I asked Karen about doing a guest blog. She agreed. It’s been just over 2 months since I first mentioned it. At 4 a.m. this morning the blog hit me upside the head. 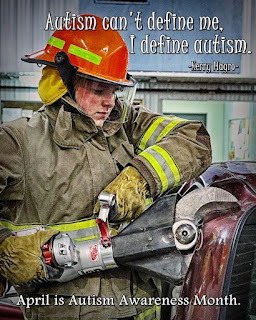 I am a single mom to a 16-year-old young man with Autism Spectrum Disorder. We live in a rural community in the heart of New York’s Finger Lakes (and WINE) Region. I had the first inkling of an autism diagnosis when my son was 2 years, 9 months. He suddenly lost the ability to speak and had extreme, physically violent meltdowns with self-injury; sometimes requiring up to 90 minutes of physical restraint by me. I had modified restraint training I had received through an employer. With the DSM-IV he was diagnosed with PDD-NOS at age 5/6 and had a whole host of rule-out diagnoses. We saw a local developmental pediatrician for many of his early years. My son started in an intensive Universal Pre K program at 3 years, 1.5 months run by one of our area’s best special needs programs. He had 1:1 aides, occupational therapy, music therapy, speech therapy and more. When he started elementary school at our home district things changed, some for the better and some for the worse. His educational team tried, for the most part, to do what was in his best interests within the constraints of our school district’s abilities. And he even qualified as disabled under NYS’s DDSO (Developmental Disabilities Service Organization.) In 2011 due to regulation changes through DDSO he no longer qualified as disabled. A couple years later his developmental pediatrician announced her upcoming retirement to us. That led me to seek out a more concrete evaluation from a world-renowned regional autism center/clinic. We waited over 6 months for the appointment/evaluation date, which was 9 months after the local developmental pediatrician made the referral. After spending only 90 minutes with my son and I the specialist, (at this world-renowned autism clinic,) deemed that he had “outgrown the autism” and was most definitely ADHD inattentive type. My heart shattered, to put it mildly. We only had three visits with this specialist, and she tore me down each and every time we met. At several points during our appointments, she would tell me that I was failing him as a parent when I would question her or her recommendations. That immediately instilled a distrust in developmental disability professionals from that point forward. It was 2014, and it took me 3 full years before I would seek out another professional for my son. In 3 years’ time, he spiraled. Our April 2017 Autism Awareness Month was eye-opening. He punched holes in a large portion of the walls of his room. He physically broke our outdoor, make-shift clothesline by snapping a 2x4 board in 2 different places just with his shear strength. And finally, his 3rd quarter school grades came home with 2 incompletes and outright failing one class. I started a renewed search seeking out a counseling professional for my son. Fast forward nearly a year, in March 2018, to the drowning of a 14-year-old with ASD in the Genesee River in Rochester, NY, a mere 60 miles from where we live. His physical drowning has been enacting some changes in the Rochester, NY area. But where’s the help for those kids and parents who are metaphorically drowning in the rural areas, (and cities and suburbs)?!? With the help of our local Arc, I recently re-applied to qualify him for services through that state-run office. Despite about 100 pages of documentation showing a continued need for services, the office said he did not show enough of a qualifying diagnosis for services, and his IQ is 4 points too high to automatically qualify under IQ requirements. And because he didn’t qualify for OPWDD services, he doesn’t qualify for Arc services. And if he can’t qualify for OPWDD there’s no way he’ll qualify for Social Security Disability assistance. After receiving the letter disqualifying him our county had a community input forum in response to several recent teen suicides, overdoses, and other community concerns. My full-time employment with a community based social service agency meant I was well known by one of the facilitators. I had just received the denial, so I opened my mouth to the forum and asked where we were supposed to turn to next for help. That put me in touch with a youth services advocate through our county health and mental health dept. We had a referral put in with another local agency who provides HARP (Health and Recovery Plan) services. However, because my son’s only diagnosis is ASD, he won’t qualify for services in that program without a mental health or addiction diagnosis. We have 8 days to find a medical professional who will agree with a comorbidity of a mental health disorder, or get my son hooked on meth or heroin, or we have to start that process from scratch again too. Meanwhile, I have 3 more days to file my request for appeal to OPWDD and I have lost that paperwork. But the issues don’t stop there. My son’s 35-week report from school arrived in the mail yesterday. He’s currently failing 3 out of his 4 core academic subjects with grades in the 40’s and 50’s. He is also failing one of his extra academic classes and on the verge of failing a 2nd for not turning in assignments and research projects. These 2 classes are areas he excels at and loves. He also owes $80 to the school for technology and reading items that he never returned. He struggles with life skills/activities of daily living. He rarely brushes his teeth without adult prompting. He washes his body only half the time without adult prompting. He’s nearly burnt down our home by being so engrossed in a TV show that he cooked pizza-snackers in the microwave for 15 minutes and didn’t notice the burning smell. The smell woke me from a dead sleep, and he then stood in the middle of our kitchen with a plate that was still on fire IN HIS HANDS. His inability to know follow-up on his chores caused his air-conditioner unit to flood our living room, requiring a whole flooring remodel, (which I had to take on myself because I couldn’t afford to pay someone else to do it on my meager earnings). It and ruined the box spring of my brand-new bed. 18 months later I’m still sleeping in the same bed and box spring. He can’t get a summer job because he might have to go to summer school, and I’m not sure he has the skill set to keep a job without an intensive job coach. He has developed skills from volunteering in our church’s media room, volunteering with the free food truck food distribution, volunteering at our local thrift shop, and being a new member of our local fire department. However, he can’t process how to transfer those skills to an employment-based environment. He doesn’t know how to budget or understand money, something I have tried to teach him for years. He doesn’t want to drive; not because he doesn’t know how, (we live in farm country remember) but because the other drivers on the road scare him, and he doesn’t understand the NYS DMV driver’s manual enough to pass the written exam to get his permit. He still has to be told when to do laundry, because 3 weeks of clothes piling up and no clean jeans or underwear didn’t trigger any response in him to do laundry. Every Monday he has to be reminded that Tuesday is garbage day and he needs to bag up the garbage and clean the cat’s litter box. This isn’t typical teenage behavior as our family acquaintances and community friends try to tell me because it has never gotten better. It’s been this way for YEARS!!! This is just the tip of the iceberg if you were to live our life. I have begged people publicly for help, I’ve begged Facebook friends for in-person help. I have gone so far as to ask Amish members of our community if they will offer him an apprenticeship of sorts, (talks are still ongoing there.) I’ve asked the school for help with a life-skills class. Next year they are finally offering a cooking class, which my son is currently signed up for. My son is regarded by many as high-functioning on the autism spectrum because of the skills and abilities he has, but we are metaphorically drowning! I'm wondering, would it take my son physically drowning in Cayuga or Seneca Lake before someone or some agency says, “We should be doing more to help to help families in this situation,”?!? We are very community involved. 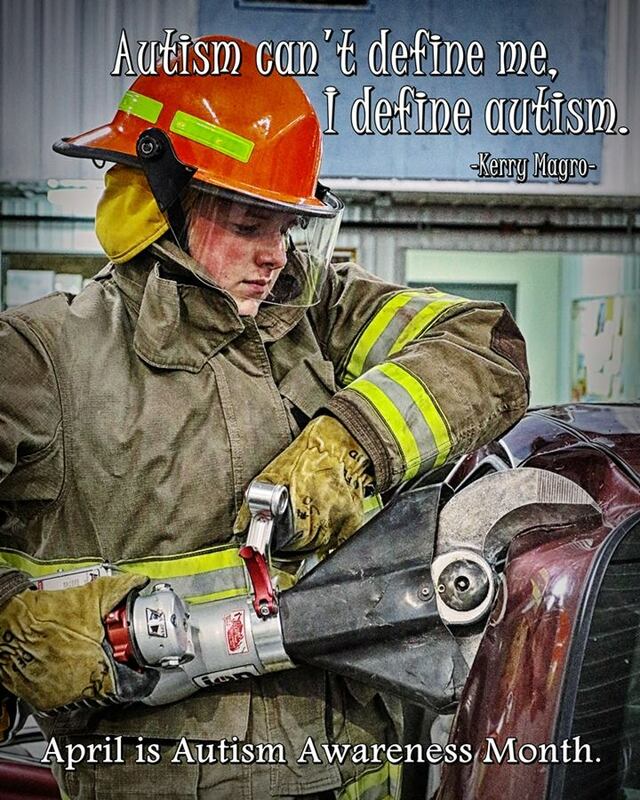 My son is a 4th generation firefighter with the same fire department. I have spent over 20 years volunteering between the local fire department and EMS. I regularly volunteer my time and photography talents to the community and school programs. My son volunteers in many facets of our local church from the media room, to food distribution, to clothing distribution, and will hopefully be attending an out of state mission trip to Boston in July. He plays 2 varsity sports and is a starter for one. He competes in NYSSMA music solo festivals each year and is in honors band and chorus at school. We give of our time and talents to help those around us in need nearly every day. Why can’t we qualify for any help?!? Why are we metaphorically drowning?!? I don’t want your thoughts and prayers or sympathy. I want some action, resources, and services! My son has long terms goals. He wants to work in law enforcement. He wants to live on his own, realizing it may only be with assistance. He wants to be a contributing member of society. None of that will happen without help and services in OUR OWN COMMUNITY!!! Carrie is a single mom of a 16- year-old young man with autism, living in a rural area of Rochester, New York. She is trying to raise her son to the best of her ability. This is a story of the frustrations getting the right kind of community support services for him. Her story is the story of so many parents in the U.S. and all over the world. We can't raise these kids alone. If we expect them to be contributing members of society, they need these supports. Honestly, once they reach a certain age, we as parents, literally cannot teach them everything they need to be a successful adult. It really does take a village. Going on vacation is a wonderful thing. Anytime you have the privilege of getting away from day to day life to see something different in the world should be a cause for celebration and hopefully, an opportunity for relaxation. In my life, however there are a lot of ironies. Things that other people celebrate and enjoy can be complicated for me. In fact, many things that average families would normally celebrate, can be an additional source of stress and anxiety for an autism family. If you are a parent of a child with any kind of special needs, you know exactly what I’m talking about. Over the years of raising these children, travel has been a dual between fun and overwhelming. There are so many details to put into place before I can think about going anywhere with or without my children. I also have to add my mom to the mix since she has lived with us for the past eight years. Before I can travel, I have to make sure that everyone will be taken care of while I’m away. This means arranging for most of the things that I do for them, to be done by someone else. All bases must be covered. Oh yes! Let's not forget about Harry, our dog. I don't like to put him in a kennel. He is used to having someone to sit next to. He's a lap dog. And, Yes. I am a spoiler of all of my children. I have anxiety from years in this autism life. My anxiety is real and at this point and time, requires medication to keep me functioning without taking someone's head off. The thing about authentic anxiety is that it doesn't have to make any sense to anyone else. It's real inside my head and in my physical reaction to stress. I have worried about every single trip that I have planned since my children were born. I can’t die. They need me! If I am leaving them at home... did I take care of every last detail before I left? Did I write all of the operating instructions for whoever is taking over? Did I remember the special foods, the wine for my mom, the projects for school that need to be turned in on time? Does anyone know what to do if I die? Yes. I have a will. But still…the details of everyday life. The things that only I know. Most of the time, their father didn't even know the name of their teachers, or their doctors. Is there any wonder when my husband or my friends say, “hey let’s take a trip,” I hesitate? I hesitated when my husband said let’s go to Italy in 2007. I was dying to go to Italy, but what would we do with the kids for ten days? I had never been away from them for that long. How would I get along with my husband for ten days? Would we kill each other? Would we still be married when we came back home? When we planned our trip to France in the summer of 2016, I freaked out. There was a terrorist attack right before we left in Nice. We were going to Nice! Again, what if I die? I finally settled on, I'm going. I may die on this trip, but at least I will die having seen France. I have just about gotten these boys through to adulthood. I’ve already done a lifetime of work. If it's my time, so be it. A couple of weeks ago my husband planned a trip to Las Vegas with my best friend and her husband for my birthday. Spectacular, right? Vegas is one big adult playground. He planned everything perfectly. He bought tickets to the best shows, “Michael Jackson One.” He even bought awesome seats to see Justin Timberlake in concert! We had gorgeous adult dinners at gourmet restaurants and stayed in lovely accommodations. It's a good thing he planned it because I never would have done it. I would find every excuse not to go. Why? Because of anxiety —that’s why. Like I said, there’s nothing about anxiety that has to make any sense. In my case, it sort of does, because over the years so many things have hit the fan when we traveled. Hubby works for a global IT Corporation so he goes to Las Vegas every year for his sales conference. Sometimes, he goes twice a year if there is a Regional Meeting there. The first time I joined him in Vegas for one of his business trips, Blue was in the 6th grade. He was still freaked out by thunderstorms back then. I left on a Friday morning. The sun was shining brightly I felt so happy and free to be getting on an airplane alone. I made arrangements for Blue to spend part of the weekend with one of his best friends. I can't remember where Kendal was, but he wasn't home. My mom was at the house with Blue. When his friend's mom came to pick him up that Friday afternoon, he would not leave the house because of his anxiety. In fact, he ended up spending the entire weekend hiding out in the bathroom because there was a threat of storms. How free and easy breezy can one feel knowing that your child is hunkered down, camping in the bathroom with pillows, blankets, music and a fan to drown out the sound possible storms? I usually work through the anxiety. I go on the trip despite the anxiety, but no one can tell me not to freak out. It’s just like when you tell someone who’s having a meltdown to just “calm down.” Yeah. That goes over perfectly. I am working on getting over some of this with my therapist. Hoever, it takes time. I have a lot of crap to work through. Our most recent trip was to Washington D.C. We took the entire family (my mom, Blue, me and Alan). Kendal just moved to San Antonio to live with his older brother. Preparing for his move was a whole other source of stress that went in conjunction with the planning of this trip. I won’t even go into the details of that. Our family trip was a total of five days. We rented a lovely AirBnB, two-bedroom apartment so that my mother would have accessible accommodations. An apartment, as opposed to hotel rooms, would mean a lot of family togetherness. There would be no quick and easy escapes. We were also meeting my siblings in D.C. to go to the Smithsonian African American History Museum. No pressure, right? There are extra details to traveling with my mother. Her arthritic knees keep her from being as mobile as she used to be. Wheelchairs were arranged at the airports to get her on, and between, flights. Sitting all together in a row on the plane where I was smushed in-between my mother and my husband was lots of fun for a woman in peri-menopause. I reserved a scooter with a medical equipment company in D.C. because of the extensive walking that would be required at the museum. The night before we left, she informs me that she refuses to even try the scooter. It was too late for cancellations, so I ended up paying full-price for the motor-scooter rental, while we got an old crappy wheelchair that was hard as hell to push her around in. Overall, it was a great trip. The museum was powerful and I'm so glad we were all able to see it. Per my therapist's suggestion, I decided to take one day to get some time to myself. Self-care is pertinent when you need to have extra patience. Years ago, I would never have considered gifting time to myself. I would be too worried about what others would think. I didn’t want to disappoint anyone. Ever. I would just do all of the things whether I wanted to or not. My mother and my husband were not happy when I told them that I would not accompany them to church and to visit with some of his family. I told them that it wasn’t up for discussion. I know what I need. No one will speak up for me, except me. I am “reclaiming my time!” Like Auntie Maxine Waters! The people who were used to me not having boundaries will find themselves disappointed at times. However, they will benefit from the happier person I am after refilling my cup. I was ecstatic as soon as they all walked out the door. Here’s the video of my favorite moment of our adventure. I highly recommend taking time for yourself whenever possible. May self-care and self-love carry you through your stressful situations. Labels: Air BnB, Anxiety, Aspergers dog, autism, France, Las Vegas, self-care. self-love, traveling, Washington D.C.